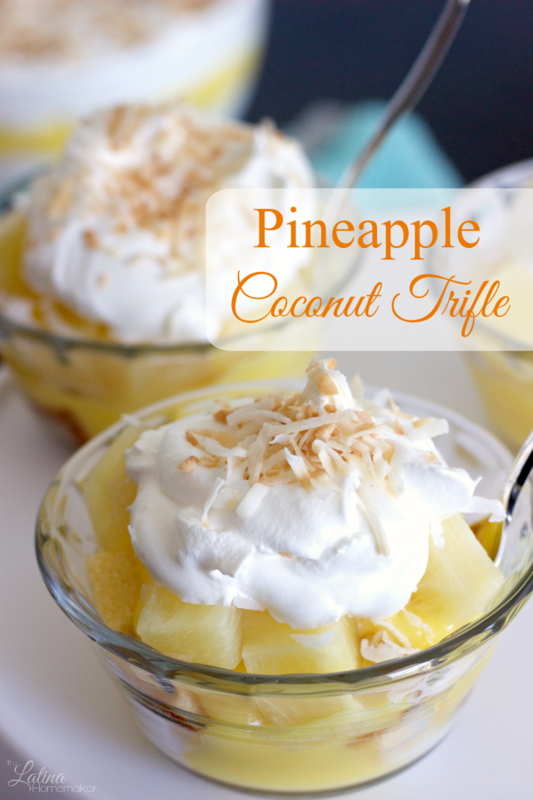 A simple and delicious trifle recipe that combines pineapple and coconut flavors! I can’t believe Easter is only a few weeks away! In our home, we typically spend the holiday with family enjoying a nice dinner followed by an egg hunt. Although most of my kids are older, they still enjoy a friendly Easter egg hunt competition and candy. My youngest is at a fun age and understands Easter now, so I look forward to watching her little face light up. This year I want to make an Easter dessert that everyone can enjoy. Creating something everyone will like is no easy task, but I’m pretty sure today’s recipe will be a hit. 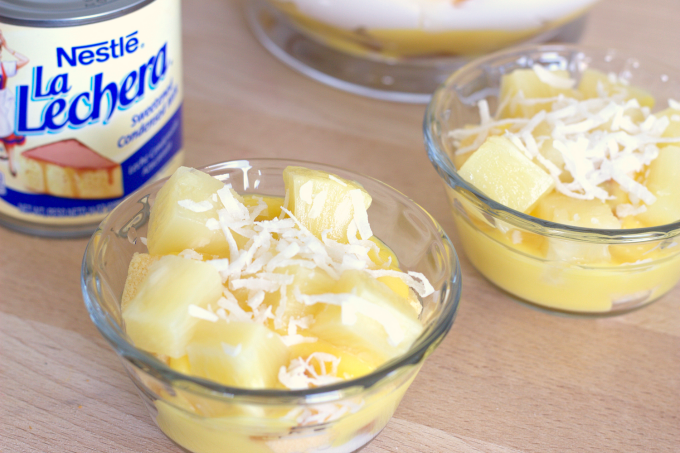 This Pineapple Coconut Trifle is the perfect dessert for Easter or any family gathering. 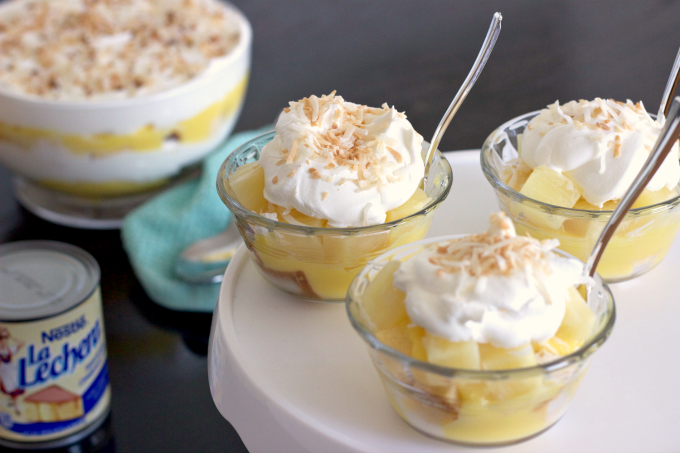 It combines some of my favorite tropical flavors – coconut and pineapple. This trifle is very easy to put together and offers just the right amount of sweetness. 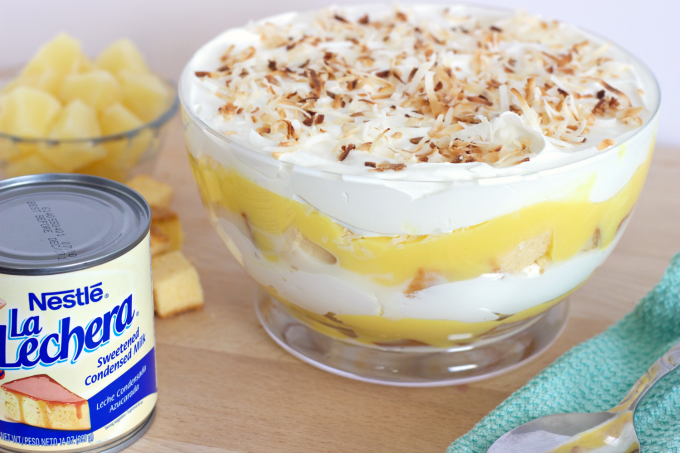 From the sweetened coconut milk to the pineapple flavored pudding, this delicious trifle will likely be one of my go-to recipes this year. I also toasted coconut flakes and sprinkled it over the top layer to dress it up a bit. Since my trifle bowl was a bit on the smaller side, I had leftover ingredients which I used to make mini trifles. This is also a fun way to serve this tasty dessert. 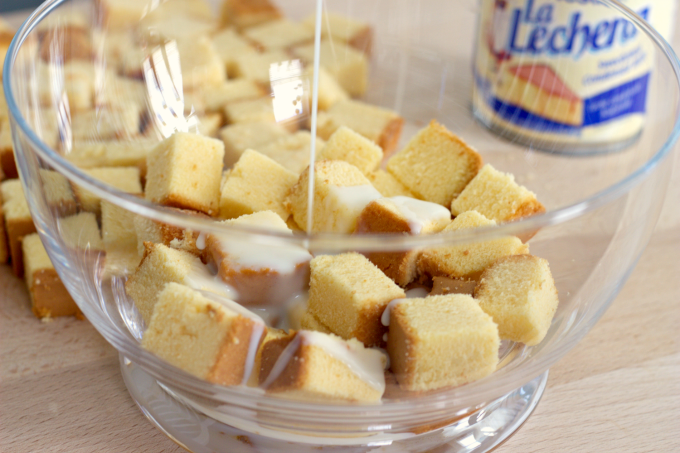 My parents were able to give it a try and they loved the combination of La Lechera® Sweet Condensed Milk with the coconut milk. The pound cake soaks a good bit of it, so you wind up with a moist and sweet coconut flavored cake. For more recipe ideas and inspiration check out La Lechera® online, Facebook and Pinterest! What are some of your family’s favorite Easter recipes? As always, I’d love to hear from you! Drain pineapple juice from pineapple chunks can and reserve 3/4 cups of the juice. In a bowl, empty the boxes of vanilla pudding mix. Whisk in cold milk and pineapple juice until smooth. Place in the refrigerator until pudding thickens (10-15 minutes). 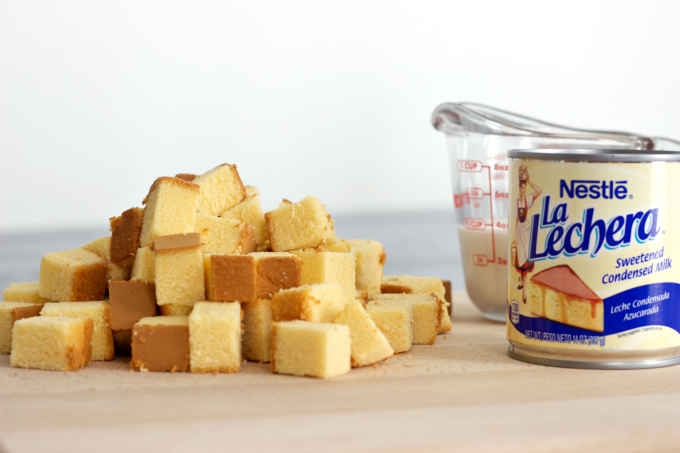 Cut pound cake into cubes and set aside. In a separate bowl, combine coconut milk and sweetened condensed milk until well blended. 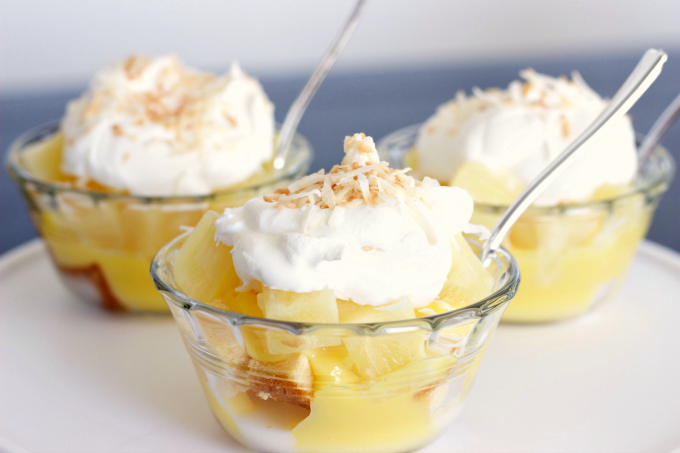 Layer a trifle bowl with half of the cake pieces, drizzle with half of the sweetened coconut milk, add half of the pudding mixture, top off with half the pineapple chunks and shredded coconut flakes. Top with whipped topping and repeat. « Get a Head Start on Spring Cleaning!